Case Study: Clarion Builds Street Team — Modera Inc. Since 2012, Modera has provided a broad array of agency services for Clarion Corporation of America, a leader in consumer and commercial electronics for the automotive and marine industries. Although a majority of Clarion’s business is through Original Equipment Manufacturer (OEM) contracts, Modera manages social media accounts for Clarion to engage enthusiast communities, develop brand affinity through project vehicles, and encourage partnerships with influencers and tastemakers within the Automotive community. After the success of two Clarion Builds project vehicles (‘74 BMW 2002 and ‘91 Acura NSX), Modera created the Clarion Builds Street Team as a channel, microsite, and social media hashtag #CBStreetTeam to generate UGC and develop branded partnerships within the enthusiast community. Rather than the two previous project cars, which were highly produced and marketed, Modera’s goal was to engage communities on the consumer level. Through the new Street Team, Clarion sent products to enthusiasts on the micro and macro influencer level. 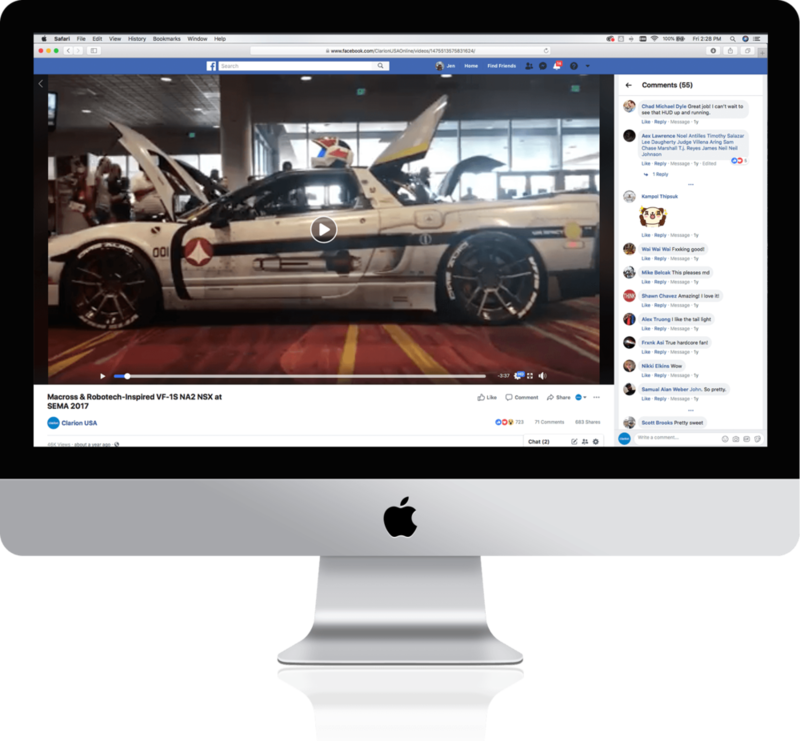 From cross-platform promotions to staging car meets, Modera has been an integral part of the program's stellar content creation and mainstream success. Among the 10+ Street Team projects, we highlight two key campaigns below, where the Clarion Builds Street Team partnered with two types of influencers to increase engagement, secure print media coverage, promote sales, and achieve Best-Seller lists. Coordinated with the release of a new source unit (M508), and his newly purchased #CBStreetTeam ‘79 Porsche 911, Clarion social media channels partnered with Matt Farah of The Smoking Tire to review an M508 prototype. 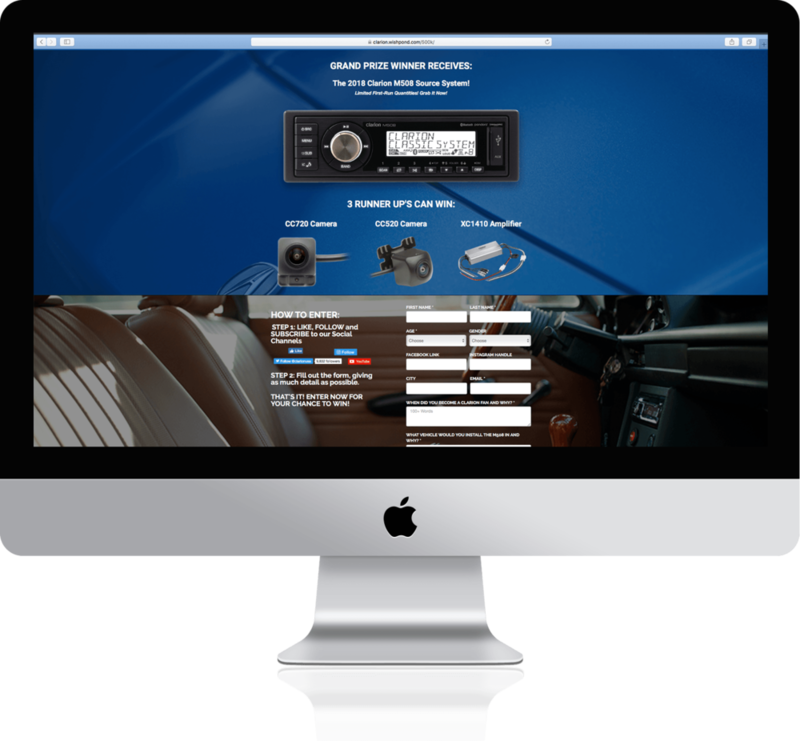 Modera’s goal was to increase engagement on Clarion social channels, gather product feedback for Product Planning, and increase M508 sales on Crutchfield.com. Utilizing Instagram, Facebook, and Youtube (1.8M Total Subscribers), Matt Farah promoted the M508 as a period-correct piece for enthusiast builders. Clarion’s Instagram quickly grew by over 3K followers, and over 1.3K comments from interested customers. To capitalize on public interest, Modera created contest pages to capture leads and incentivize new followers with an M508 giveaway. Future M508 promotions were re-marketed to these lists, and contests boasted over a 50% conversion rate. Once publicly available on one of Clarion’s distributor’s, Crutchfield, the M508 quickly ranked as a Top Seller. Clarion channels encouraged the enthusiast community to submit photos of their own M508 installations, rewarding fans by re-posting images on highly-engaged Clarion feeds. The campaign successfully attracted active fans, boosted sales, and culled suggestions for Product Planning. While riding the success of the Clarion Builds NSX, dubbed “the most famous NSX on the Internet” by Jalopnik, Clarion met Jhae Pfenning at NSXPO 2017. Jhae’s Macross-inspired NSX was modeled after the series’ VF-1S fighter jet, and we recognized his passion and ability to connect with fellow enthusiasts. 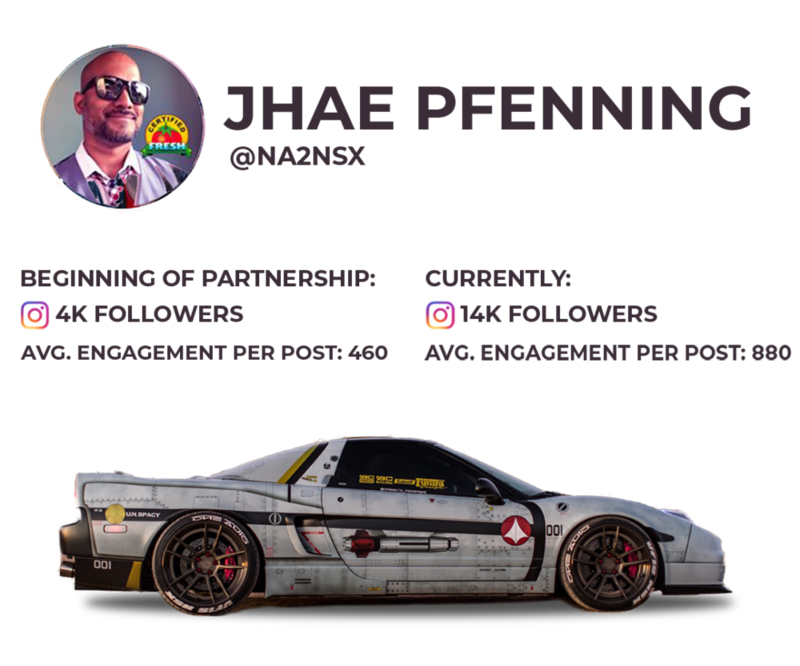 Despite a relatively small following on social channels (<5K), Clarion added Jhae’s NSX to the Street Team to cater to existing fans from our Clarion Builds project. 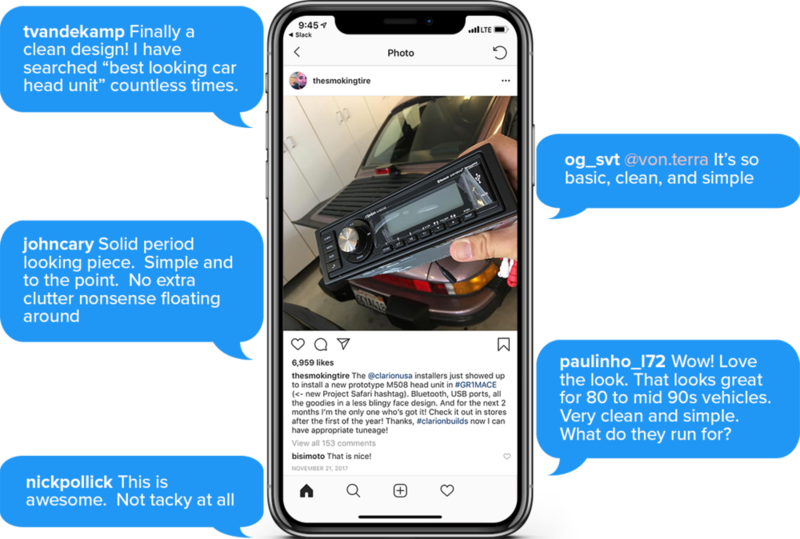 Jhae installed Clarion gear in his vehicle, used #CBStreetTeam in daily posts, and highlighted product features on Instagram stories. To cater to hungry fans, Modera organized a meetup at the SEMA Show 2017 to film live content and produce a video featuring the NA2NSX. This video skyrocketed to nearly 50K views and 700 shares, introducing the Clarion Builds Street Team to all new fans. Clarion’s Instagram audience quickly grew by over 10K, and Jhae quickly shot to over 10K followers. After the success of the Clarion Builds Street Team partnership with NA2NSX, Performance Auto & Sound Magazine (PASMAG) featured the Clarion-fitted car in a 3-page spread.